2016 February « Healthy Foods In a SNAP! Banana trees actually produce fruit year-round, so it’s always banana season! Bananas are a good source of fiber, potassium, and vitamin C. You can buy bananas at any stage of ripeness, from dark green to yellow with brown spots. 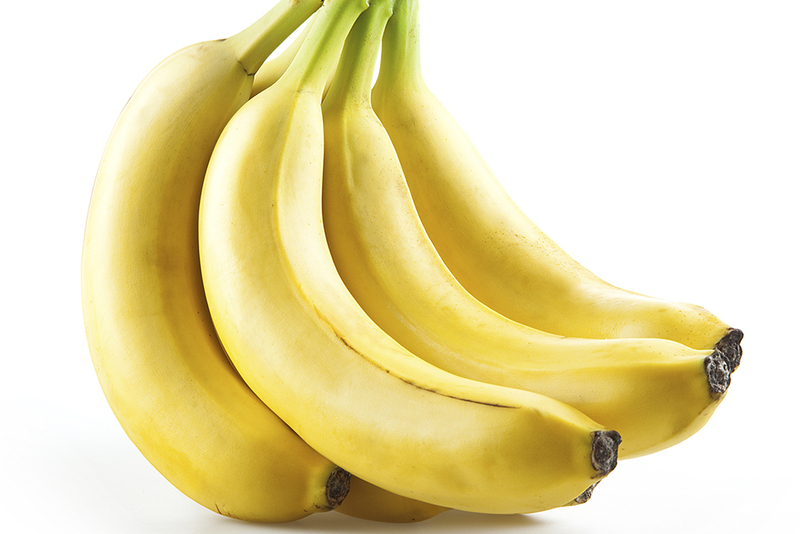 Bananas get sweeter and softer as they ripen, and they ripen well at room temperature. Simply leave them out until they get as ripe as you want them. You can put them into the fridge to stop ripening, but the skins will turn black. Bananas are great as an on-the-go snack and in fruit salads, smoothies, and cereal, but you can also cook with them. Very ripe bananas are good in breads and muffins, and bananas that are ripe but not too soft can be baked for an easy healthy dessert. Enjoy the sweet taste of bananas all year long!